Ever since its debut back in 1993, Moscow Art Magazine has set the agenda for Russia’s ever-evolving cultural scene. From the hopeful manifestos of the early 1990s to the angry, politically engaged art of today, it remains the only independent Russian art journal to successfully weather the country’s economic crises: publishing a rich variety of theory, criticism, and artists’ texts by Russian and international writers. Released to mark the magazine’s 100th issue, Critical Mass: Moscow Art Magazine 1993–2017 is a collection of writing on post-Soviet Russian art collected from the magazine by founder and editor Viktor Misiano. 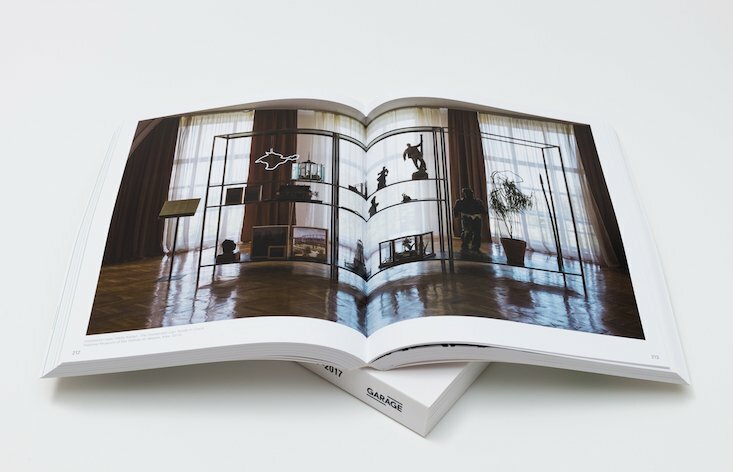 Published by Garage Museum of Contemporary Art, the book hopes to introduce English-language readers to Russian art discourse throughout the post-Soviet years, giving outsiders a comprehensive look at the Russian art scene as seen from within. Misiano will be holding a special discussion on the development of Russian art since the fall of the Soviet Union to celebrate the book's launch as part of the programme at this year's London Book Fair. The talk will run at the Calvert 22 Bookshop in Shoreditch on 10 April from 7:00pm — 9:00pm. For more information, or to book your pay-what-you-wish ticket, visit the Calvert 22 Foundation website by clicking here.